At one time or another, we’ve all been in a long, miserable line. Whether it’s at the DMV, a grocery store, the bank, or maybe waiting in line to ride a roller coaster at a theme park. In that moment, we think to ourselves, I’d do anything to get to the front of this line. But would you really do anything? We’re finding out that some people would, and do. Dr. Wednesday Martin is a social anthropologist, best known for her book Stepmonster, which takes a look at why stepmothers “think, feel, and act the way they do.” While that book has some great insights, it’s her newest book, Primates of Park Avenue, that we’re interested in here. Set to release in 2014, the book takes an ethnographic look at raising children in the Upper East Side of Manhattan, one of the wealthiest areas in New York City. As part of her research, Martin spent a significant amount of time interviewing privileged parents in Manhattan. Throughout these interviews, she uncovered a repeated, appalling trend regarding the way these families “do Disney,” which is rich-people speak for, “go to Disney World.” In order to cut the long lines and avoid waiting, these wealthy families are hiring disabled tour guides to pose as family members. This woman said that her family hired a Dream Tours Florida guide who was in a motorized scooter with a “handicapped” sign on it. 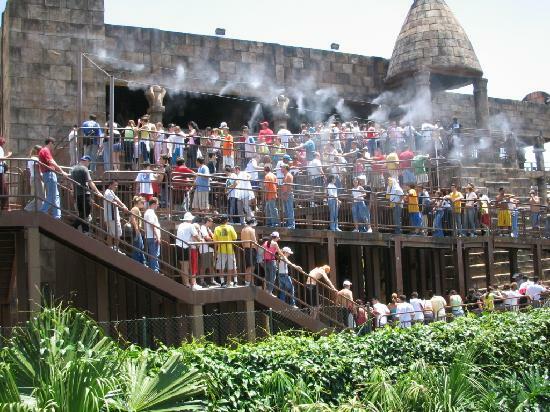 She said that she, her husband, their 1-year-old son and 5-year-old daughter were sent straight to the secondary entrances, where they were able to get seats on each ride within five minutes. I could write an entire blog post on the evils of this practice, but that is not my purpose here. My main intention is to make people aware of this. Hopefully Disney is also aware, and if they are, I’m sure they’re taking it very seriously, as they do every other crowd control concern. I’d like to offer some sort of crowd management advice that might prevent such practices, but truthfully, Disney is already doing everything they can to continuously improve the customer experience at their parks, and this includes paying close attention to the wait times. I mean, they have an entire underground crowd control command center. This one’s on the people. 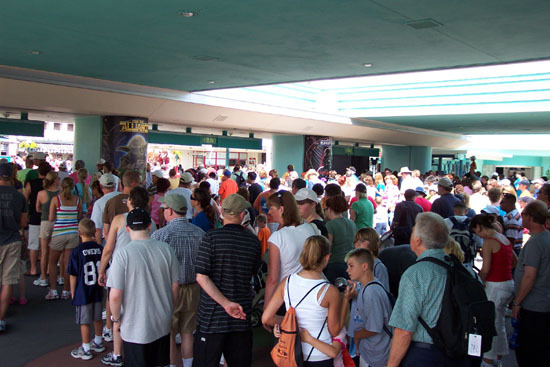 So long as Disney stays popular, there will be lines outside the rides. Part of going to Disney World is waiting. If you don’t like it, don’t go. But don’t exploit others and take advantage of a policy in place to help families with actual needs.